This meat cutting/processing machine offers a combination of efficiency as well as time-saving options for the swift processing of poultry (slaughtered/frozen) for farmers/vendors. 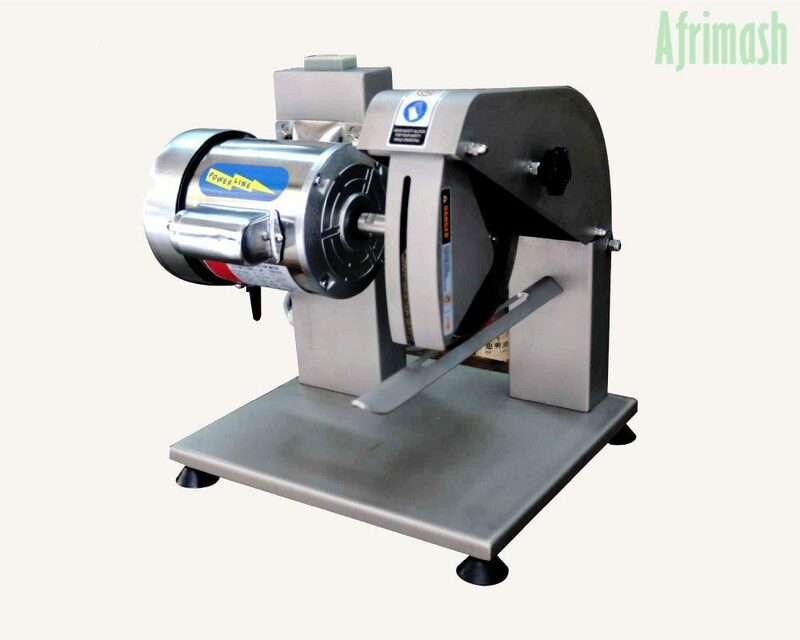 It is a compact structure with sturdy parts, offers easy maintenance features and improves meat processing efficiency. 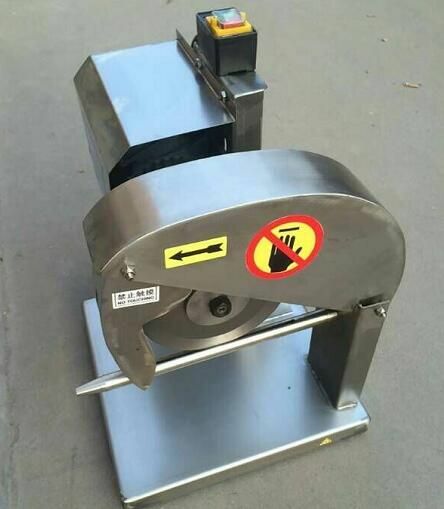 The chicken cutter finds a wide range of application in large, medium and small meat processing plants, canteen, slaughterhouses, large supermarkets etc. 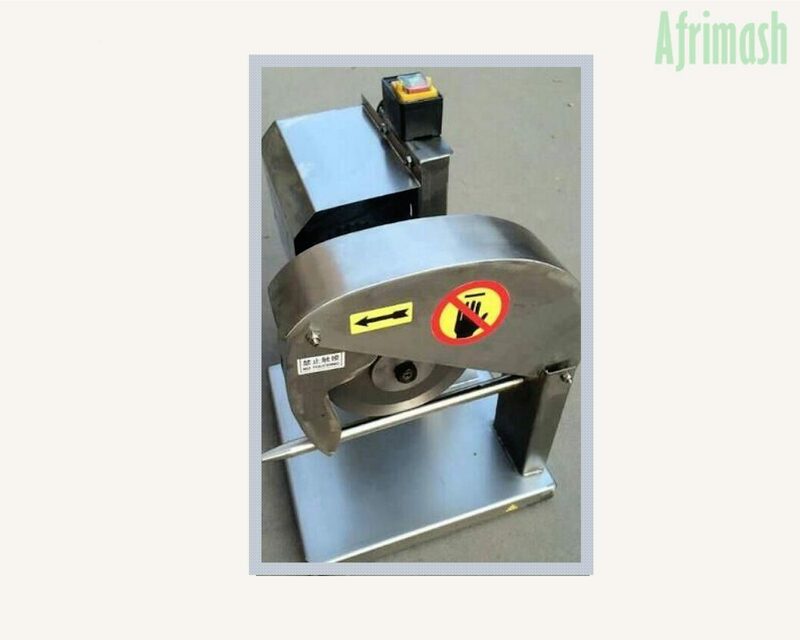 It is indicated for the processing of fresh/frozen meat into smaller bits, traces, cubes or strips (duck, goose, fish, ribs, frozen pork, mutton, chilled beef). 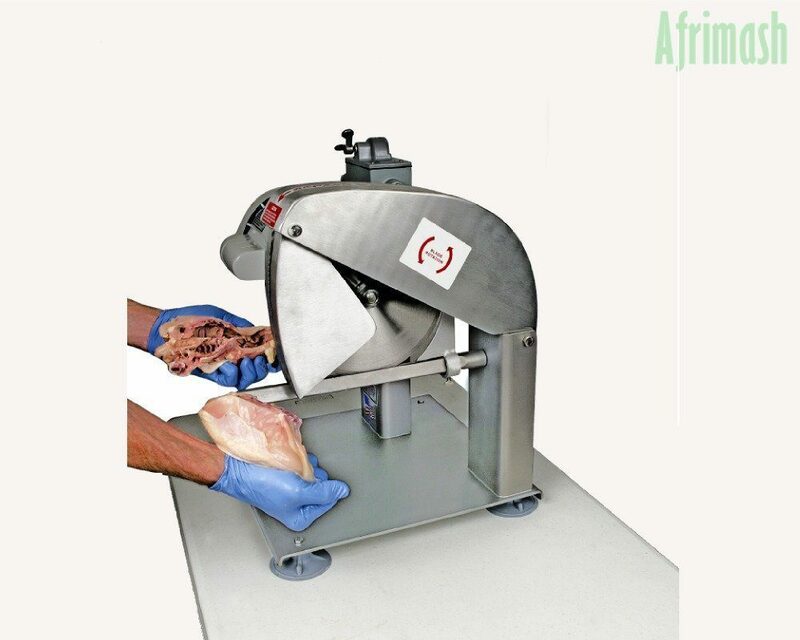 Highly designed and articulated parts and motors indicated for cutting meat to smaller parts and bits. Easy to install and operate (high demand in the poultry and meat processing industry). High-efficiency rotor blades with safeguarding. Adjustable pad for reducing vibration and stability of the machine during utilization. Can be adapted for tabletops, benches and floor use. We value our commitment to providing viable solutions to challenges faced by farmers. This informs our dedication to provide access to quality farm equipment and products. Our product range includes imported farm equipment, gadgets, and services. With products from Animalia Farm Services, quality input, processing and output are reassured. Products purchased from Animalia Farm Equipment Store are durable, sturdy and imported options. We guarantee you of "zero risk purchase" experience in our shop and we do our best to ensure every customer is very satisfied with our products. Thus, we ensure you get exactly what you ordered for and swift delivery within the stipulated shipping/delivery duration. Shipping duration is 2 to 5 days after the placement of successful orders and payment. Our products are shipped via Economy pickup, Local Pickup and Convenient (DHL) shipping packages. As delivery times are estimates and not guaranteed, delays in deliveries could be affected by weather-related delays or events outside our control, however, we always inform the customers in due time.